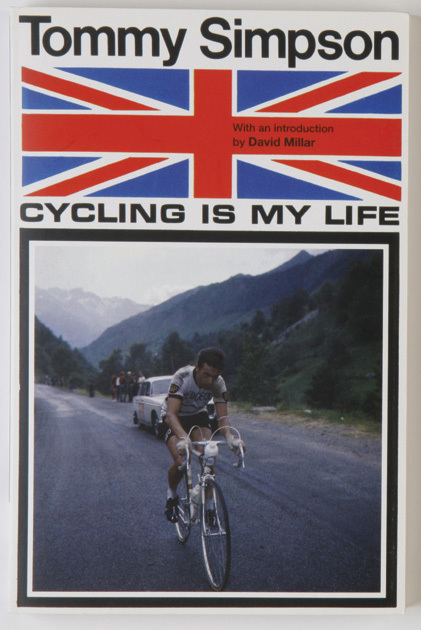 Continuing our countdown of the best cycling books ever written. The finest insight into the mentality of cycling in Belgium. The direct style of writing mirrors perfectly the blunt matter-of-fact attitude of the Flemish towards their sport. A tale of suffering and one that makes it feel like exisitng in Belgian cycling is to be permanently on the cusp of unravelling. One of the guys in the kitchen, a third-year Dutch pro, started getting ready on a slightly different schedule than what I would come to recognise as normal. I had not even gotten the first pin put into my number when the Dutch guy started filling a 1-cc syringe with a clear liquid from a 10-cc potje. Satisfied with the amount, he poked the needle into a little tent of skin on his arm and shot it. Ten seconds later he started giggling like a four year old and pointed to the hair on the arm he’d injected. “Kijk, kijk, kijk, kijk,” he said, in between giggles. He was apparently hoping we’d enjoy the sight of hair standing on end as much as he did. Seven riders from Britain, Ireland and Australia who went to France to race for top amateur clubs (most of them for the ACBB in the Paris suburbs) and French pro teams (mostly Peugeot). 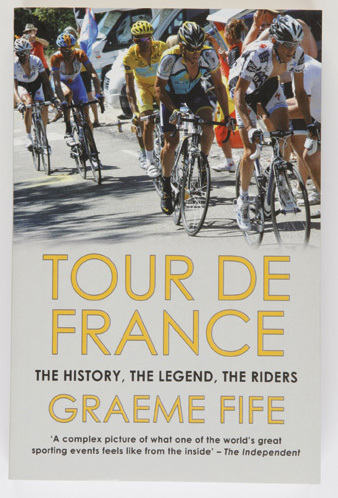 Telling the story of Paul Sherwen, Graham Jones, Sean Yates, Robert Millar, Stephen Roche, Phil Anderson and Allan Peiper as they encounter and overcome the obstacles. Peugeot was a traditional French cycling team. It was backed by a French firm, registered with the French federation, made up mostly of French riders, and run by French directors. And it had been involved in cycling since 1896. Alas, many of its greatest triumphs came via the legs and willpower of its foreign team members. 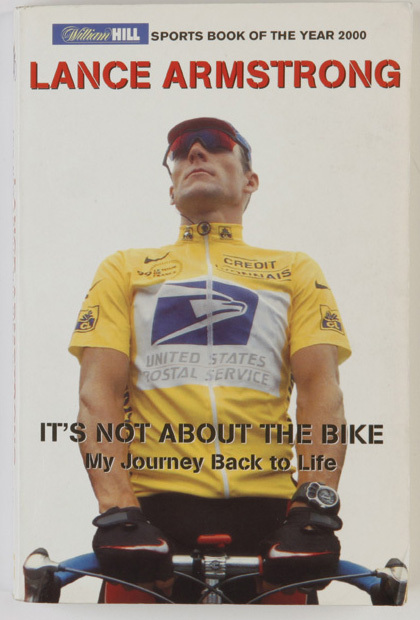 The story of Lance Armstrong’s battle against cancer told, at times, in uncomfortable detail. An inspiration to many but even when fighting illness it is hard to like Armstrong unconditionally. Terry Armstrong was a Christian and he came from a family who had a tendency to tell my mother how to raise me. Terry had a bad temper and he used to whip me for silly things. Kid things, like being messy. The paddle was his preferred method of discipline. If I came home late, out would come the paddle. Whack. If I smarted off, I got the paddle. Whack. It didn’t hurt just physically, but also emotionally. I didn’t like Terry Armstrong. I thought he was an angry testosterone geek and as a result my early impression of organised religion was that it was for hypocrites. 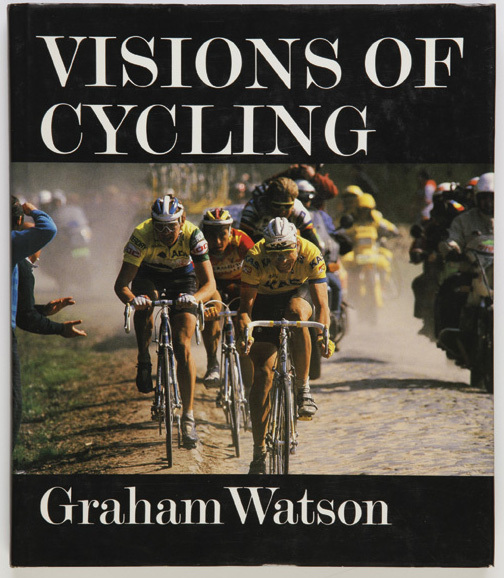 When reading the book you cannot escape the fact it was written a year or so before he died on Mont Ventoux. And there is something distressing in knowing where all that drive, all that ambition and courage will eventually take Simpson. I started my sprint a few hundred yards out and kept going as hard as I could. I didn’t look ahead at all, I was looking down, looking for his shadow on the road as he came up on me. I kept thinking “He’s coming!” And suddenly when I was ten yards from the line it dawned on me. “He hasn’t! He hasn’t made it! It’s mine!” I was champion of the world at last. 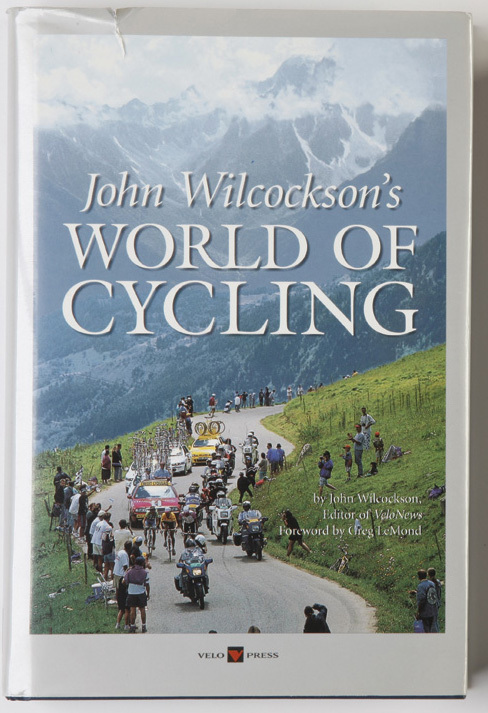 A collection of fine writing from a journalist’s three decades covering the sport. Wilcockson’s eye for a detail is what adds an extra dimension to the more familiar stories. Words are not enough to express the desperate, frightening conditions on the Gavia descent. So devastating was it that hardened competitors were reduced to tears of pain from the freezing weather. 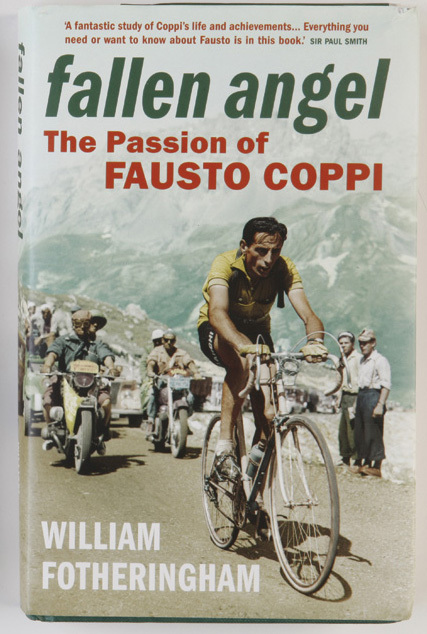 Visentini was like a rag doll, free-wheeling at less than 15 miles an hour down a pass he could ordinarily have raced at three or four times that speed. He stopped to put on a padded ski jacket, again to drink hot tea and then to have his frozen muscles rubbed back to life. You can’t fail to be seduced by the charms of Colombia and the intriguing role cycling takes in the countries sporting narrative. The stories of the Colombian amateurs who came to Europe in the early 1980s add a new dimension to the sport’s modernisation during that period. Colombia has always been in awe of its landscapes, especially the eternal, indomitable Andes. A concentrate of Andean severity flows through its cyclists’ veins: how could they not, ultimately, prove invincible? 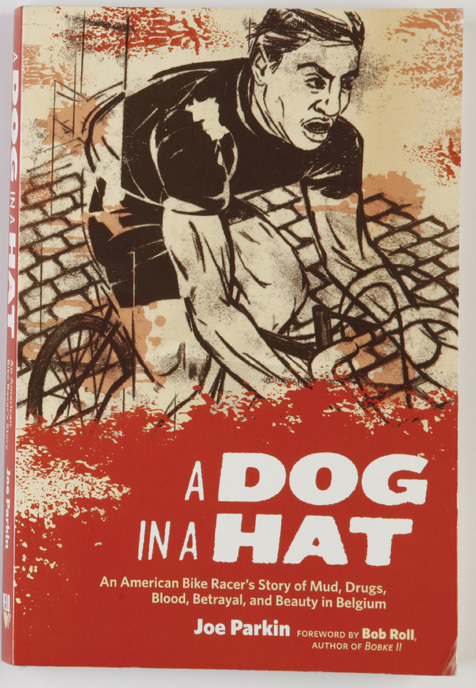 This goes so much deeper than the known legend of the rivalry with Bartali, the controversy of his relationship with the white lady and his role in Italy’s divided society. Coppi’s early death has preserved him in a state of grace that has remained undefiled by everyday reality. Other cycling champions have grown old or senile or fat. Some have been tarnished by drugs scandals or blatant commercialism. Coppi remains pristine. 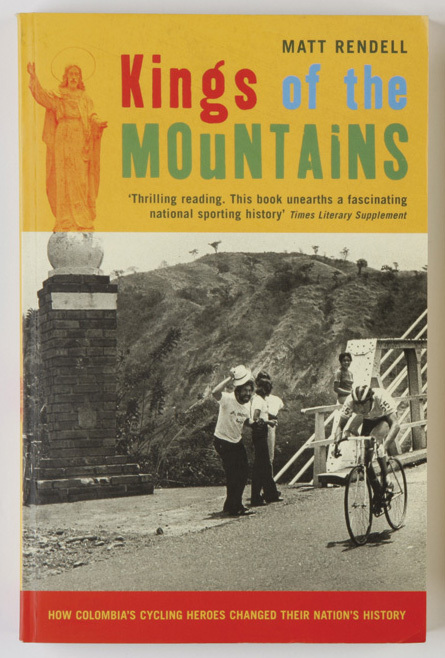 A good, well-written history of the Tour that avoids any clichés but, on reading it, you would be left thinking the race contained only mountain stages. 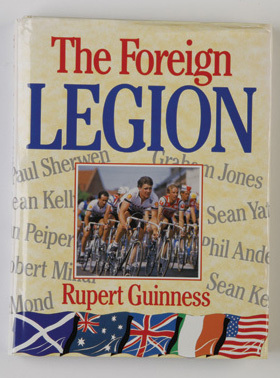 Reprinted every year with a chapter on that July’s race, it has become a modern anthology. Roland Barthes, the philosopher, was fascinated by the extraordinary phenomenon of the Tour. In Mythologies, he suggests that in the Tour, myth and reality fuse and become indistinguishable: the combat both between rival men and men and Nature are idealised, the stuff of chivalric romanc, say, but at the same time the men are flesh and blood too, as never in any other myth. Jaw-dropping photography and a commentary that tells us as much about what it’s like to be there, in the middle of the storm, trying to capture the right moment. In the days before auto focus and digital trickery, the quality of Watson’s photos is staggering. The second visual treat of Milan-San Remo occurs with a string of short hills, culminating in the Poggio. As we approach it, the cauldron of our expectancy comes to the boil. We – and our drivers – will never be under more pressure during the whole season, knowing there’s only one chance of getting the picture. With Torriani [the race director] standing up through the sunroof of his car and screaming at us, it is important to time one’s move precisely. 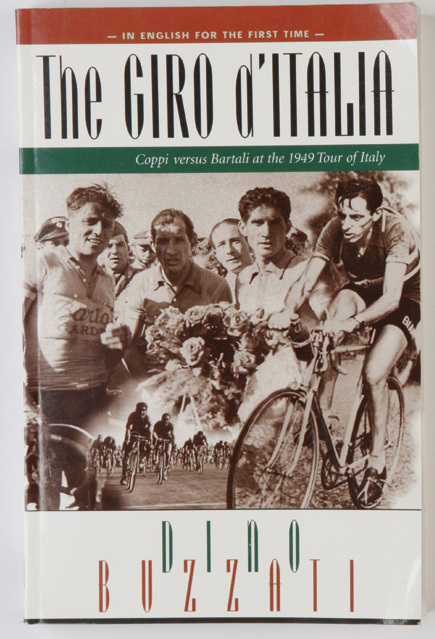 Buzzati was a writer and journalist, but like all great cycling writers, he was able to draw parallels between the Giro and great historical events, in turn making the race seem like a contest of epic proportions. em>Does something as crazy and preposterous as the Giro d’Italia serve a purpose? Of course it does: it’s one of the last meccas of the imagination, a stronghold of romanticism, beseiged by the gloomy forces of progress, and it refuses to surrender.